If you’re considering renting a boat for your next fishing trip with family or friends, there are many factors to consider. You’ve probably shopped around to local marinas, looking into pricing and the waterways you would have access to when renting from each place. 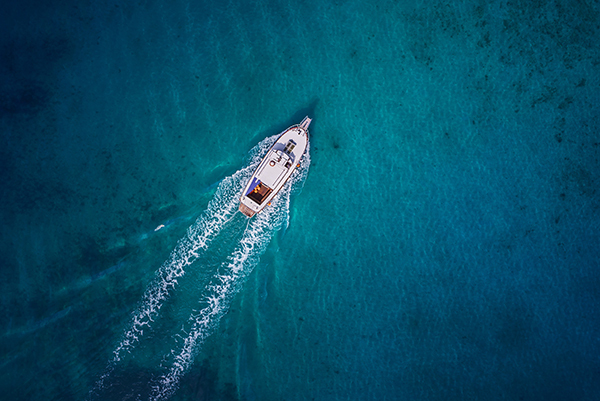 These are important things to consider, but planning for a day on the water and the comfort of your passengers should also be considerations you think about before renting. The experts at FishingLicense.org encourage all potential fishing boat renters to think about specific factors involved in a rental before planning a day out. Here are a few tips you should reflect upon when you’re in the market for a fishing boat rental. When you go to a rental boat marina, there will be many different types and sizes of boats available for rent. If you don’t have a lot of experience with boats, it can be confusing to figure out which one will be right for you. Since you’re planning a fishing trip, you’ll want to rent a boat that caters to the sport and makes it easy for you to fish. Look for boats that offer fishing pole holders so you and your guests are comfortable when casting out for a long period of time. A pontoon boat can also be a pleasurable and easygoing ride for multiple passengers. If fishing is the main goal of the day, then you want to stay away from speedboats or boats designed for watersports like skiing or wakeboarding. It’s also important to consider how many passengers you’ll have on the boat. Let the marina manager know the number of people (both adults and children), so he or she can set you up in a boat that’ll make all passengers comfortable. According to the team at FishingLicense.org, it’s important to communicate the number of people on board so there’s enough safety equipment and life jackets to accommodate everyone. The marina manager should offer you an instructional tour once you sign the rental agreement. It’s important to pay attention while on this tour, and ask any questions you may have about the boat’s operation or what to do if something goes wrong. Understanding how the boat works and how to troubleshoot potential problems can be the difference between a fun day out on the water and a disastrous one. The marina manager will also show you around the boat, pointing out the live wells, navigational system and safety equipment. Be sure you know how to use all of these features before embarking on your trip. While the boat you’re renting will provide you transportation and possibly fishing equipment, you’ll need to pack everything else. The experts at FishingLicense.org recommend packing for everyone like you would for a day at the beach. This includes sunscreen, towels, snacks, meals, water and hydration drinks. You’ll also want to be prepared with the proper bait, lure and fishing tools, like a knife and extra line. All family members or friends coming on the fishing trip should dress for the weather, including a wide brimmed hat, shirt with SPF sun blocking technology and rubber soled shoes to keep grip on the boat’s deck. The marina manager should speak to you about insurance requirements, and whether you’ll be required to purchase separate insurance to cover the boat. Many times, the temporary insurance coverage you’re required to purchase will only protect the boat and the marina. FishingLicense.org experts suggests buying more insurance in addition to this liability insurance so you and your passengers are covered for injuries as well. Ask the marina manager if there’s additional insurance you can purchase on their policy, or if you need to consult another company for bodily injury liability for your rental. Having the proper insurance in place is important because the contract you sign with the rental company relinquishes their responsibility in the event of a boating accident while you’re renting.